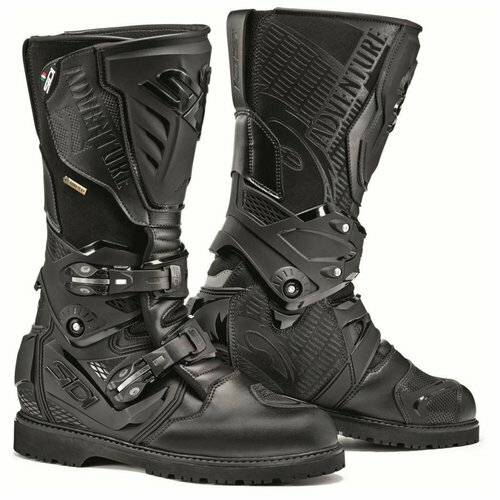 Buy your Sidi Adventure 2 Gore-Tex Boots at Champion Helmets and get: ✓Best price ✓Free shipping ✓5% Cashback on your Order Value ✓Super Fast delivery ✓Order now! The SIDI adventure 2 GTX is the successor to the popular SIDI adventure. 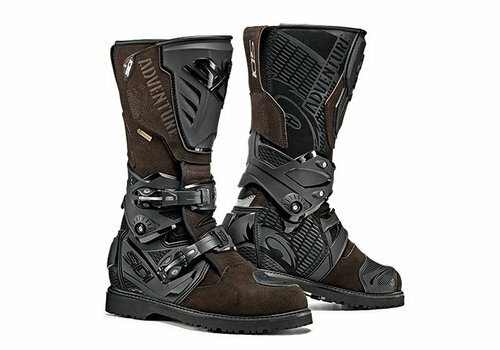 Chosen as best boot in the category "The Best crossover boots", of a few motorsport magazines. 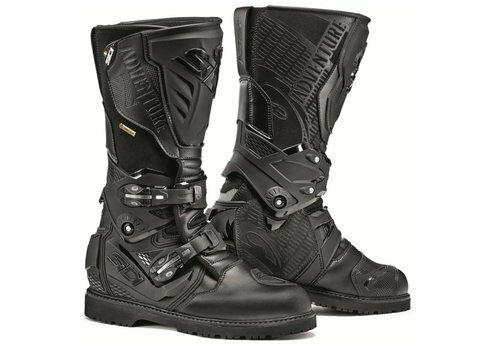 The SIDI Adventure 2 GTX gives a combination of very good protection and very high comfort while riding on the motorcycle. 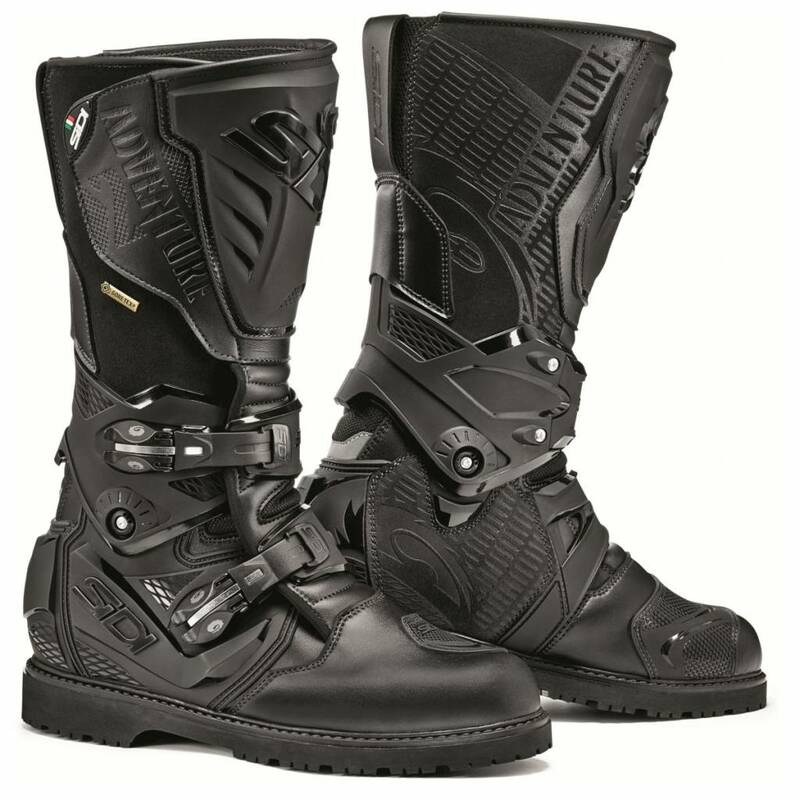 This boot has been developed for the tour rider or enduro rider who is aiming only for the best in terms of quality and comfort. The different parts of this boot can be replaced, which contributes to the durability of this boot. The lining features the waterproof and breathable Gore-Tex membrane that keeps your feet dry regardless of the weather. 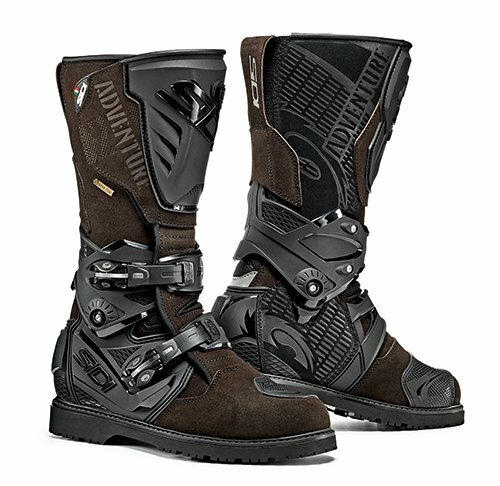 The counterpart of the SIDI Adventure 2 GTX is the Alpinestars Toucan Goretex Boots. The SIDI Adventure 2 GTX is made of very high quality full grain micro fiber in combination with Cordura and leather. Full grain micro fiber has many properties of real leather, but it seems to be lighter and stronger. The rubber sole is anti-slip regardless of the surface. The nylon innersole has a removable insole. The tibia is protected with a TPU inlay. The Boot has a lining with a GORE-TEX membrane. This membrane is waterproof, airtight water-repellent and breathable. The lining consists of moisture absorbent, odor-absorbing and breathable Cambrelle textile. On the inside of the leg are heat panels of split grain leather that give more feeling with the engine. The ankle protection consists of hard plastic. There is reflection material on the back of the boot above the heel. The SIDI Adventure 2 GTX is equipped with optimal protection of the foot and lower leg. Among other things, using a TPU shin plate, hard plastic protection around the ankle (Flex system), gives a lot of freedom of movement and prevents twisting of the ankle. The leather heat panels on the inside of the leg protect against heat coming from the engine. The heel protector and sole are impact absorbent. The rubber sole protects against slipping. The Gore-Tex membrane is increased in relation to its predecessor for optimal protection against water. This Boot offers optimal comfort. The adjustable Velcro closure, stretch parts at the closure and quick release closures contribute to a very good fit. The combination of the Cambrelle lining and Gore-tex membrane provides a perfectly breathable and waterproof enclosure on the foot. The flex system gives the boot a lot of freedom of movement and no squeaking noise when walking. These boots are very durable and the different parts can be replaced.